Regardless of the specialty or practice, healthcare facilities are experiencing a tremendous change in technology, patient care and medical staffing. Leading healthcare organizations rely on Techline to provide a comfortable, healing atmosphere for patients and a functional, user-friendly environment for medical staff. Techline can help enhance your image and reputation with our high quality cabinetry, millwork and workspace solutions for years to come. Experience…Techline is a leading provider of healthcare cabinetry, millwork and built-in workspace solutions. 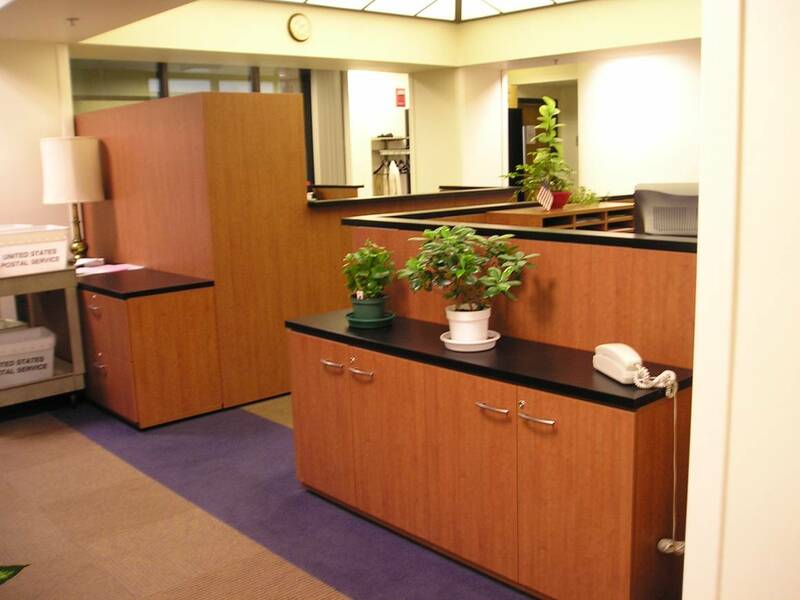 Over the past 25 years Techline has provided cabinetry for over 3,000 healthcare facilities. Medical professionals appreciate the flexible solutions designed around Techline’s modular system. Techline’s unique design provides flexibility for renovating or repositioning as your facility changes. With more than 450,000 square feet of dedicated manufacturing space, Techline is able to deliver quality product for any size project. Expertise…Techline offers a full range of services from budget pricing and estimating to full project management services. Priority one is delivering functional, professional work environments for both patients and employees. From the small workspace to the entire healthcare facility, our emphasis is on addressing your needs. Convenience…Need product in a hurry? Techline offers a Quick-Ship program for the most popular medical cabinets and office furniture. Product can be shipped in less than a week. A complete system of modular components creates Techline's Business Office & Storage Applications. By making organization easy, Techline maximizes productivity in any area of your business, from executive office to copy room. Functional design results in uniformity and flexibility throughout an organization. No space is too small or too unique. 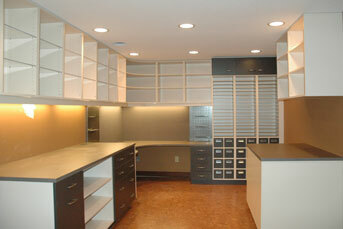 Modular storage units allow Techline cabinets to fit around obstacles that might interfere with traditional furniture. Explore the possibilities of a Techline storage application. Techline is personal. So is your home. This is why we offer a distinctive breadth of furniture and accessories that lets you create a truly customized workspace. Available in many finishes and hardware options. All with timeless design and a clean look that fits your lifestyle. Techline is flexible enough for all of your storage needs. Configure Techline bookcases to create a wall unit to store books, family photos, artwork and more. Place your computer behind closed doors so it's accessible when you need it, and out of sight when not in use. Techline's modularity allows you to create whatever storage you need to get and stay organized. Techline is simple. Start with a desk. Add a hutch. Then a bookcase and file storage. Techline is designed as a modular system, which means every piece works with every other and always will. The precision craftsmanship and unmatched quality ensures years of trouble-free use. Modular pieces quickly transform the function of even the most demanding workspace. Choose from over 100 different sizes of cabinets to fit your space. And then add doors and drawers, shelves and organizers to create the storage you need. Techline can adapt, shift and grow. Add lateral files and bookcases, upper storage and even custom-shaped work surfaces. All can be integrated into any workspace to create the environment necessary for individual or team collaboration and reconfigured to meet the changing demands of today's business environments. Custom work surfaces create the ideal workspace solution and maximize productivity. Combined with multiple storage and organization options, Techline allows for a truly one-of-kind office. Techline features a classic design that will never look out-of-style. The precision craftsmanship and unmatched quality ensures years of trouble-free use. All backed by our ten-year warranty.